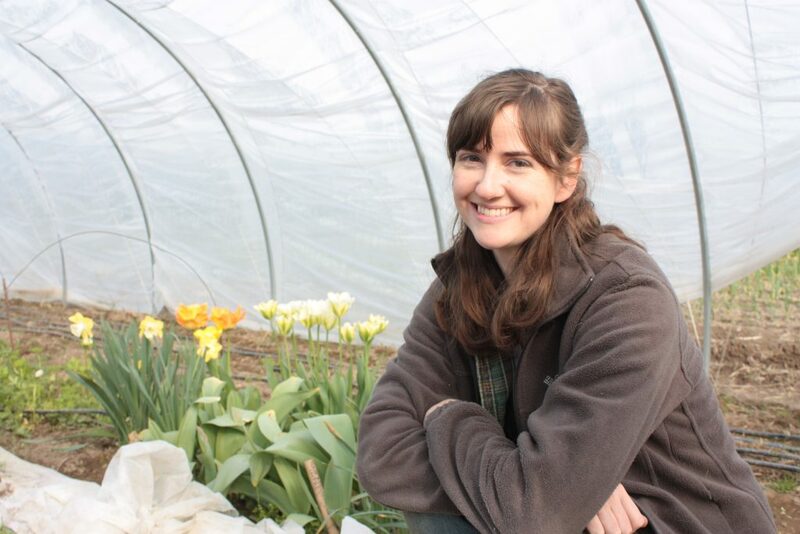 I have always loved talking to other farmer-florists, so when Alyssa of Sweet Alyssum Farm invited me out to walk the farm with her, I jumped at the chance! 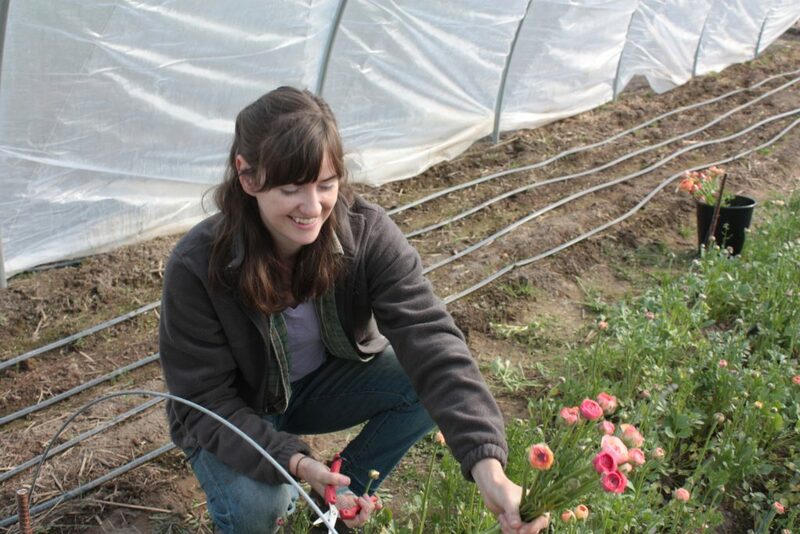 Alyssa grows cut flowers in Puyallup, just about 45 minutes south of Seattle. I have used her flowers since she started growing, and they are always stunning! We got together on an uncharacteristically sunny March day to talk about flowers, farming, and the Slow Flower movement. 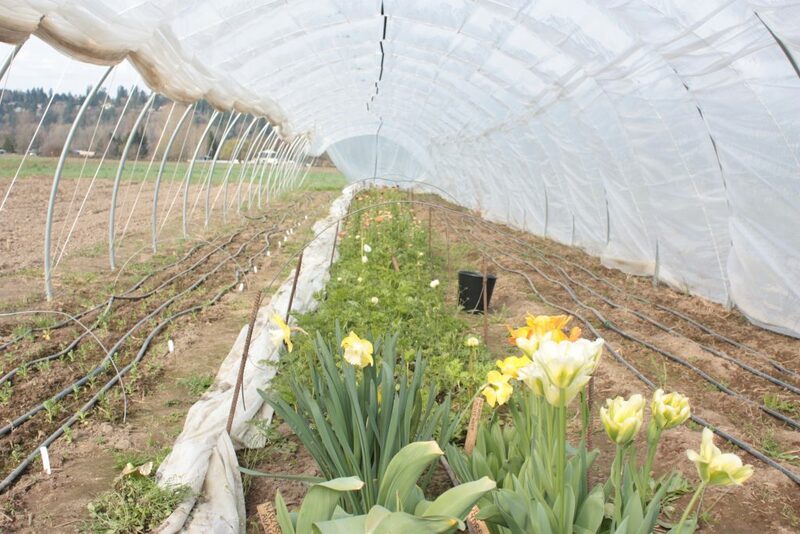 How did you get started farming, and what made you decide on flowers? I gardened with my mom when I was a kid, and she taught me many of the names for flowers. I spent a long time away from it, going to school and pursuing other career ideas (I actually have Masters in Creative Writing), but a few years ago it all combined into a realization that this was the path for me and how I wanted to spend my days. I love growing all things, but I find flowers so constantly surprising. They are my real passion crop. Can you tell me a little bit about your farm and property? This year I’m growing on a larger space than I ever have, though it’s still small in the scheme of things. 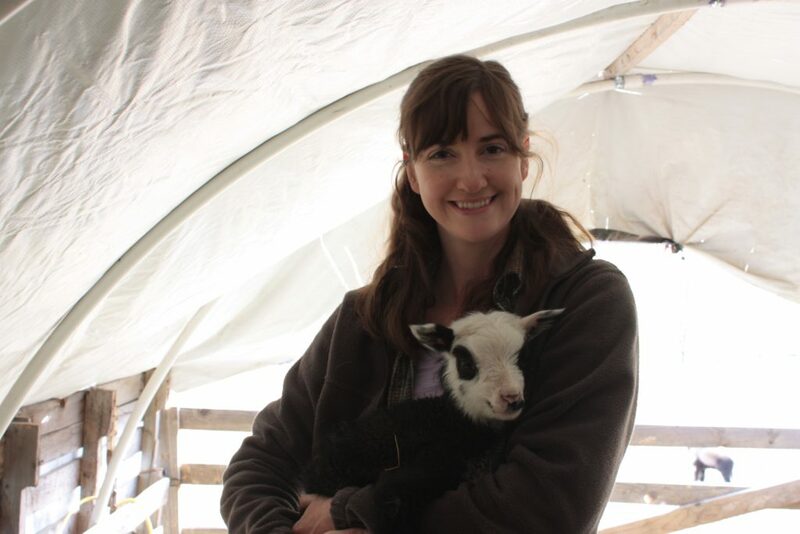 I’m leasing land from Emily Tzeng at Local Color Farm and Fiber in Puyallup, WA. Prepping my field has been fun, since my neighbors are the Finn Sheep and veggie crops grown by Emily. I specialize in sustainably grown cut flowers that are unique and high quality. I strive to grow many outside-the-box flowers in trendy but surprising colors. 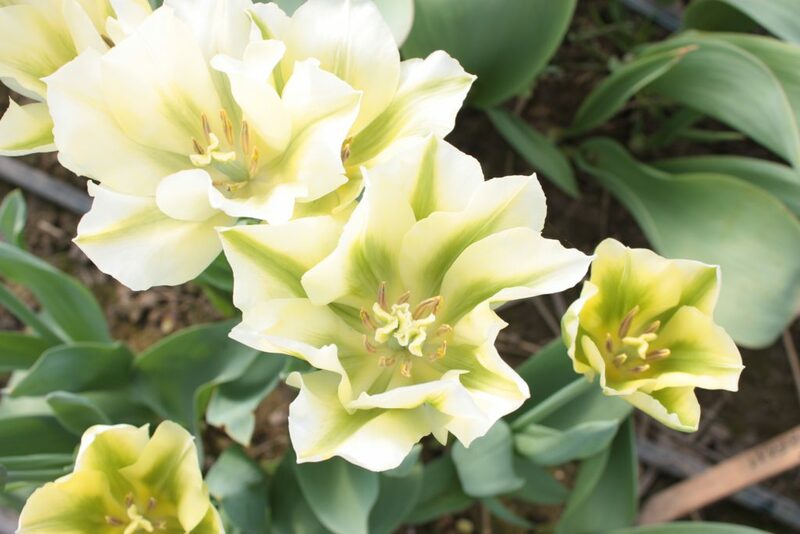 An example: these amazing green tulips! What new markets or exciting things do you have in mind? How can people find your flowers? This season I’m selling market bouquets at both the Eastside Farmers Market in Tacoma on Tuesdays and the Queen Anne Farmers Market on Thursdays. I’m also partnering with some amazing vegetable farmers to offer my bouquets as add-ons to their CSAs. Both Early Bird Farm and Local Color Farm and Fiber offer some of the best vegetable boxes each week, with the option to add weekly bouquets grown by me! 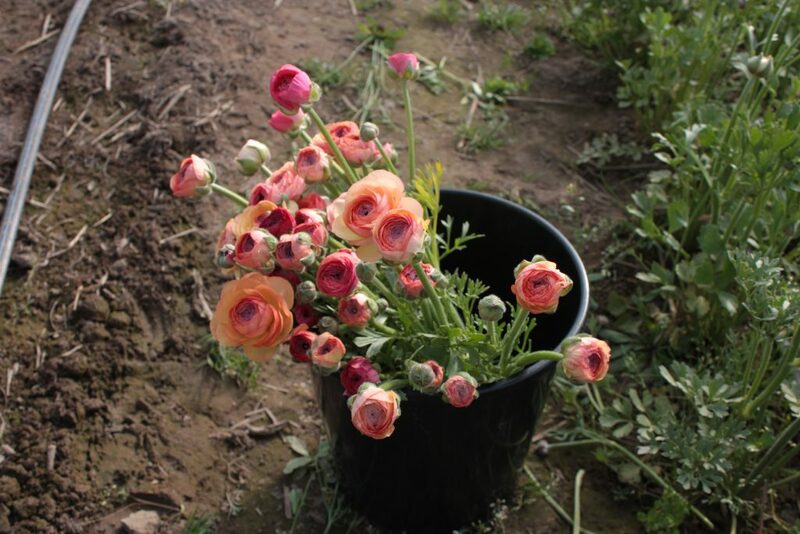 This season I’m trialing a ton of new-to-me varieties and some experimental crops I want to test as cut flowers. 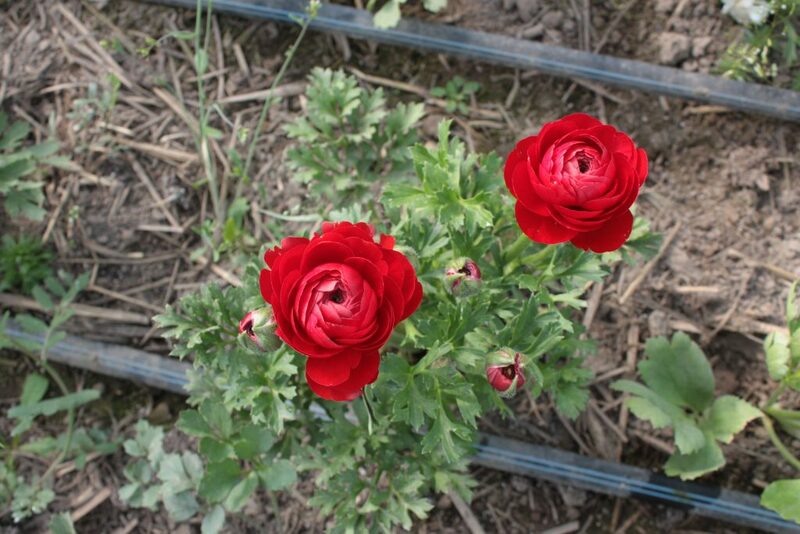 I’m mainly growing annuals, so you’ll see a lot of the star favorites like sweet peas, snap dragons, marigolds, sunflowers, dahlias… plus some surprises thrown in. I’ll also be growing many edible flowers. Look at all these amazing baby plants! 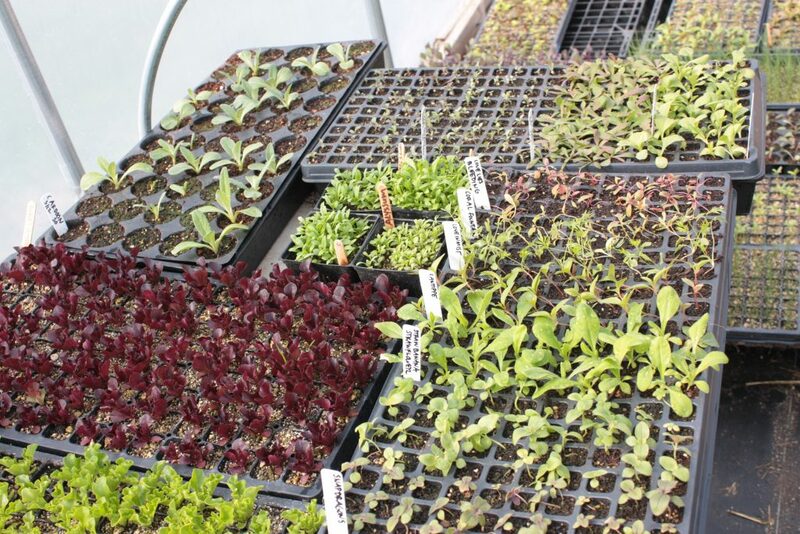 I know this is an impossible question, but what is your favorite crop to grow? 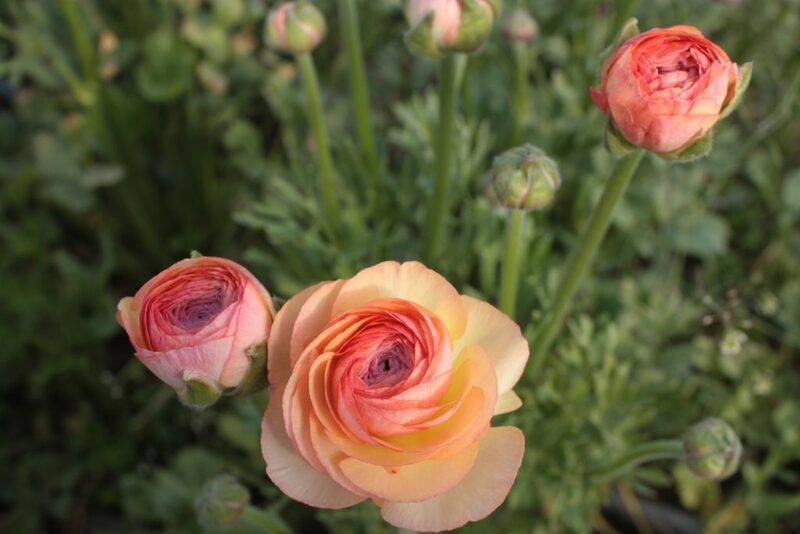 It seems like each week I fall in love with whatever new flower starts blooming, so currently I’m obsessed with ranunculus. Rudbeckia (black-eyed-Susan) is another flower that’s up there on my list, I always look forward to growing it. How could you not be obsessed with these beauties!? What advice would you have for people who want to start farming? To work on a farm! I gained so much experience and answers to my questions, and it gave me a knowledge base to get started. I’m still figuring everything out and still have hundreds more questions almost daily, so another piece of advice would be to not be too hard on yourself and be okay with some failures. How else can people support local flower growers? 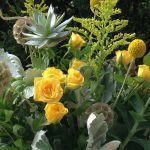 I’m a member of Slow Flowers which is a directory of people embracing the sustainable and local flower movement. It’s a helpful resource for finding businesses all over the country who offer locally-sourced blooms. 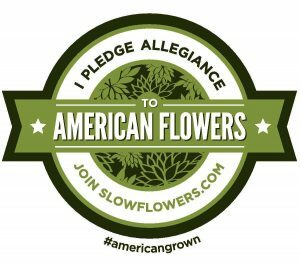 People can support local flower growers by buying from businesses listed there, or even just requesting from your favorite florist to source locally for their orders. Increased demand and awareness is the best support we can ask for. You can’t beat local flowers! Well-said! I couldn’t agree more! Thanks so much for talking with me, Alyssa. You can find Alyssa and her flowers at the Eastside Farmers Market in Tacoma on Tuesdays and the Queen Anne Farmers Market on Thursdays. You can also find her on Instagram, Facebook, her website, and the Slow Flowers directory. Thanks so much for letting me visit! Can’t wait to see what else you have in store this season!